There are over 1,000 plants that grow very well here in Myrtle Beach. 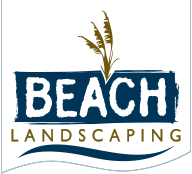 Beach Landscaping has access to all of them. Whether you are looking for a few palm trees for your front yard, a Crape Myrtle for your backyard, or some beautiful pink azaleas to brighten up your walkways, we can find them and plant them for you. Just let us know what you like and what your budget is for the project and we can see what we can do to make you a satisfied customer. We can use our garden center to form your outdoor paradise!